Understanding this cycle is the first step in effectively planning and operating in relation to all disaster related activities. The emergency management cycle is an open ended and ongoing process. The four phases in the process are mitigation, preparedness, response, and recovery. Each phase of the cycle can last years or moments in length while different paths can exist simultaneously. ​Mitigation planning is the process of determining how to reduce or eliminate the loss of life and property damage resulting from natural and human-caused hazards. It is carried out as any sustained action to reduce or eliminate long-term risk to life and property from a hazard event. Mitigation encourages long-term reduction of hazard vulnerability. As is the goal of emergency management, the goal of mitigation is to save lives and reduce property damage. The original purpose of the Pacific County Hazard Mitigation Plan is to provide guidance to substantially and permanently reduce Pacific County and its communities’ vulnerability to natural and technological hazards. The 2015 Pacific County Hazard Mitigation Plan revision is twofold in its purpose. This plan revision (revised from 2010) encompasses the continuation and updating of its original mission as well as the incorporation of new GIS technologies, improved risk assessment methodologies, and additional best-practices. The plan is intended to promote sound public policy designed to protect citizens, critical facilities, infrastructure, private property, and the natural environment. This will be achieved by increasing public awareness and education, documenting resources for risk reduction and loss-prevention, and identifying and prioritizing activities and strategies guiding the community towards the development of a safer, more sustainable community. 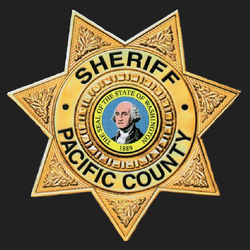 Pacific County has begun work to revise the plan again in 2020-2021. ​A primary function of emergency management involves Preparedness. Preparedness not only encompasses training and educating residents and citizens of the county, but also the act of engaging and educating emergency management partner agencies. PCEMA partner agencies meet on a continual basis to prepare and in doing so, document that level of preparedness through written plans. An example of this is the Pacific County Comprehensive Emergency Management Plan (CEMP). The CEMP is an overarching emergency management document that corroborates that process of engagement among all partner agencies. The CEMP is made up of a basic plan, followed by several Emergency Support Function (ESF) sections. Every other month, PCEMA facilitates a meeting to discuss either basic portions of the plan or an ESF, with the relevant partners. That section of the plan is reviewed, revisions are made/suggested and once every four years, all revisions are then rolled up and submitted to Washington State Emergency Management. The process is fairly typical of most of the plans linked below. The public is always welcome and encouraged to attend a meeting and comment as well. In addition, any and all submitted written comments are incorporated and considered during the bi-monthly reviews. The Pacific County Emergency Management Agency will gladly email any plan referenced within either the CEMP or HMP upon request.